The buffalo, the prairie eco-system and Indigenous peoples’ co-evolved in the center of Turtle Island (North America) for thousands of years. In the process, the buffalo helped shape the vast area known as the Great Plains creating the single largest ecosystem in North America. Through their weight, shape of their hooves, size of their herds, and grazing style the buffalo cultivated the Great Plains. The prairie was made for the buffalo, and the buffalo for the prairie. Up until 1850, the buffalo, known as the Pte Oyate to the Lakota and Dakota Nations, was the most numerous grazing animal on earth with an estimated herd size of over 50 million. Their importance to the health and of the ecosystem and to the cultural and economic centrality of Tribal Nations of the region cannot be overstated. Prior to the colonization of the Great Plains, and the decimation of the Pte Oyate, one could find around 250 species of plants in a single location. That same location, after the introduction of cattle, is reduced to just four species. Areas where farmers mono-crop, such as wheat, you would find a single species. To tribes of the Great Plains, the buffalo was central to their traditional economies and culture much like the salmon is for tribes in the Northwest. The buffalo provided not only a source of food, but also clothing, shelter, tools, medicines and more. 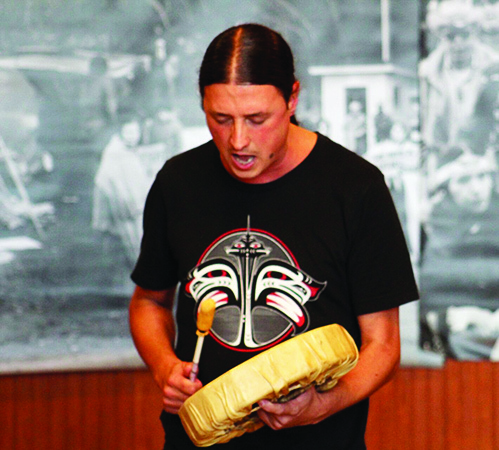 Pte oyate also plays a significant role in the Lakota origin story. The landscape of the Great Plains and the future of the buffalo and tribes of the Great Plains changed drastically when European colonizers turned their attention west. During the mid-1800’s federal and settler encroachment on tribal treaty lands increased significantly. President Lincoln, a stooge for the railroad barons, signed the Homestead Act which opened up more than 90 million acres of unceded Tribal lands to the railroad companies and European colonizers for settlement. Tribe’s resistance across the Great Plains to settler encroachment was fierce as wars broke out across both the Northern and Southern Plains. The US found itself in costly wars. In the North, the Lakota allied with the Cheyenne and Arapaho, fought a successful war against the US, Red Clouds War 1866-1868, leading to the peace treaty of 1868, the Fort Laramie treaty. To date, it is the only treaty the United States has entered into with another Nation that it militarily lost to. In the South, the US found itself entrenched into costly wars especially with the Comanche and Apache. The United States sought an alternative strategy in dealing with tribes of the Great Plains and turned their attention to destroying the tribe’s central economy and food source, the buffalo. Armed with powerful, long range rifles, white men descended upon the Great Plains in extraordinary numbers, estimated to be as high as 5,000 hunters. The so-called buffalo hunters were paid $3.00 per hide and $0.25 per tongue. The meat was not taken and left to rot in the sweltering heat. 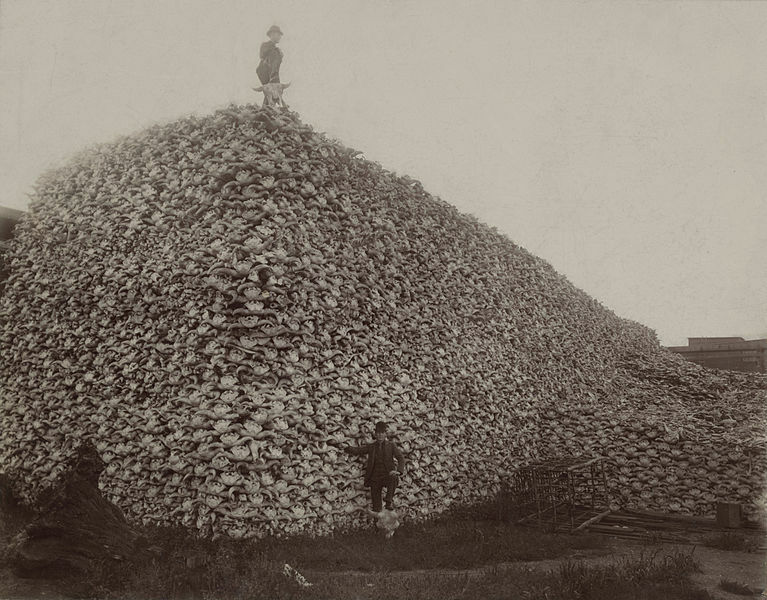 The hunting often took place from the trains as hunters would place their rifles outside the windows of the rail cars and slaughter the buffalo. At the close of the 19th century the buffalo was brought to near extinction. Of the 50 million that once roamed the Great Plains only twenty-three remained. Twenty-three sought refuge in the remote Pelican Valley in what is now Yellowstone Park. On a recent wet and blustery Saturday afternoon, I met up with Jennifer Fuentes and her daughter Ayanna in a north Seattle coffee shop. 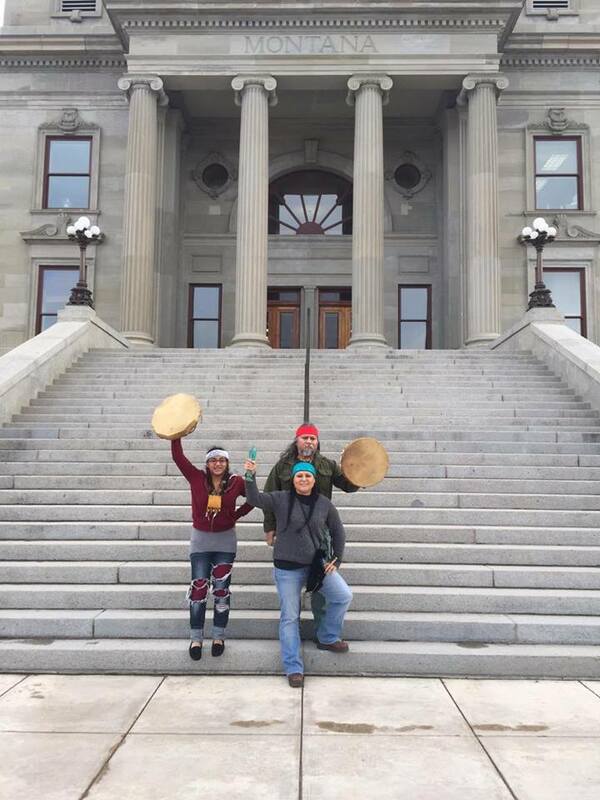 Jennifer and Ayanna are both active with the Buffalo Field Campaign and had recently returned from its yearly “Week of Action” in Montana. The Buffalo Field Campaign (BFC) was formed in the winter on 1996-97 by a coalition of Natives and non-Natives under the leadership of Rosalie Little Thunder (Lakota) and Michael Mease. 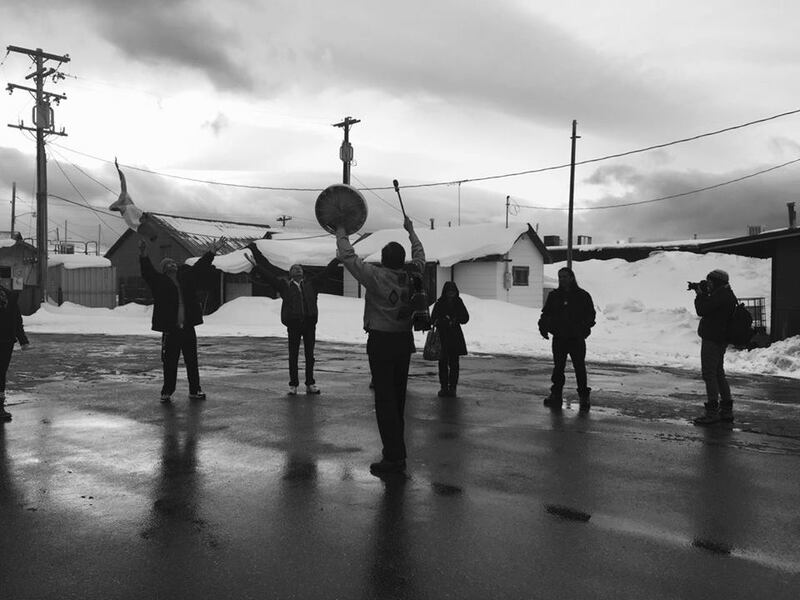 They had come together in response to the Montana Department of Livestock slaughter of over 1,100 buffalo who had crossed the arbitrary line from Yellowstone Park onto state lands. As a result of the slaughter, over 1/3 of the buffalo herd was lost. These buffalo are the descendants of twenty-three original buffalo herd that survived and are the only continuously wild buffalo remaining. Jennifer shares that the BFC Week of Action is a time when volunteers across the globe descend upon Yellowstone in effort to protect the buffalo, whose current population is around 3,000-5,000. During the week of action rallies are held in attempt to draw attention and educate the public to the issue of the buffalo slaughters. Due to pressure from cattle ranchers over the “possible” threat that buffalo will pass the livestock disease brucellosis to cattle, buffalo who cross the border of Yellowstone Park face the threat of being hazed back into the park, or slaughtered. Year round, and especially during the winter through spring months, volunteers spread out throughout the park to document both incidents of hazing and of the buffalo’s being captured for slaughter. She tells me that cattle rancher’s claims of fearing over the transmission of brucellosis from buffalo to cattle are bogus. To date, there have been no documented incidents of a buffalo ever passing the disease to cattle. Further, many other animals like elk also carry brucellosis, but they are not subject to the same level of harassment and oversight. The real worry cattle ranchers have is over grazing rights Jennifer tells me. Ranchers receive massive public subsidies, estimated at one billion dollars, to graze their cattle on public lands for cheap. The likes of the Koch brothers, Ted Turner, the Hilton family and the Bundy’s benefit greatly from these tax subsidies and they perceive buffalo as a threat as potential competition over grazing lands. represent a powerful lobby. The result is a sham story that buffalo will pass brucellosis on to their cattle which results in the slaughter of any buffalo that leaves the confines of Yellowstone Park onto public lands. Since 1985, over 9,000 Yellowstone buffalo have been killed. Ayanna fuentes, Thomas fuentes and Jennifer Fuentes. Standing on the steps of the Montana Capitol during the BFC week of action. Our Lakota origin story tells of how Iktomi, the trickster, was able to convince Tokahe to talk the people into following him into the new world. Pte, the holy man, had the gift of wisdom and the power to see the future foresaw that the people would endure a great suffering in this new world. Despite his warnings, the people followed Iktomi out of Washun Niya and into the new world. The role of a holy man is to place the concerns and needs of the people first and in accepting his responsibilities Pte followed them into the new world. In this new world the needs of the people were many, so Pte changed himself into tatanka, a buffalo bull. In this form he would be able to provide for the needs of the people. Our relative, Pte Oyate the buffalo nation, provided for us in our time of greatest need, it is our turn to protect and provided for them in their time of greatest need. 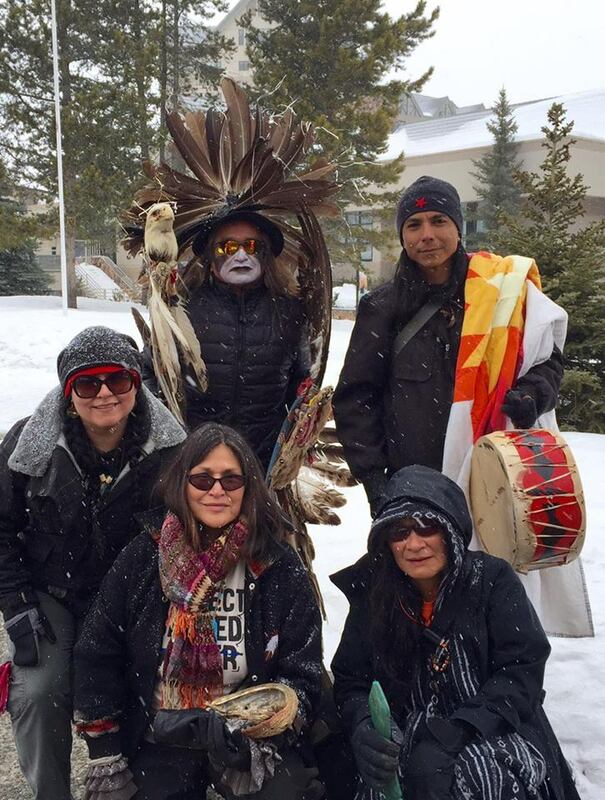 This entry was posted in Visionary Leadership and tagged Ayanna Fuentes, Buffalo, Buffalo field campaign, Jennifer Fuentes, Last Real Indians, LRInspire, matt remle, Pte oyate by lrinspire. Bookmark the permalink.